Since Paul Walker's untimely death Nov. 30, there have been questions as to the future of Fast & Furious 7, the latest installment in the franchise that Walker would've been filming now had he not been killed. Now it appears Fast 7 is going for a major overhaul. The Hollywood Reporter says writer Chris Morgan is preparing different revisions to the script that will hopefully get an OK from Universal executives in order to not let the $150 million already spent on the film completely go down the drain. Sources say the movie was "well underway but nowhere near done" and Paul Walker still had about half of his role to complete. Compounding problems is the relative newness of key Universal execs, including studio chair Donna Langley and entertainment chair Jeff Shell. While production could resume after the start of 2014, the film will not come out on July 11 as previously planned. Curiously, the film industry people THR spoke to seem confident the half-done Fast 7 is likely to be finished without Walker and that an eighth installment will be given the go-ahead. In fact, executives – including one at Universal – believe Walker's death may give future Fast films a boost. That could be a stretch. 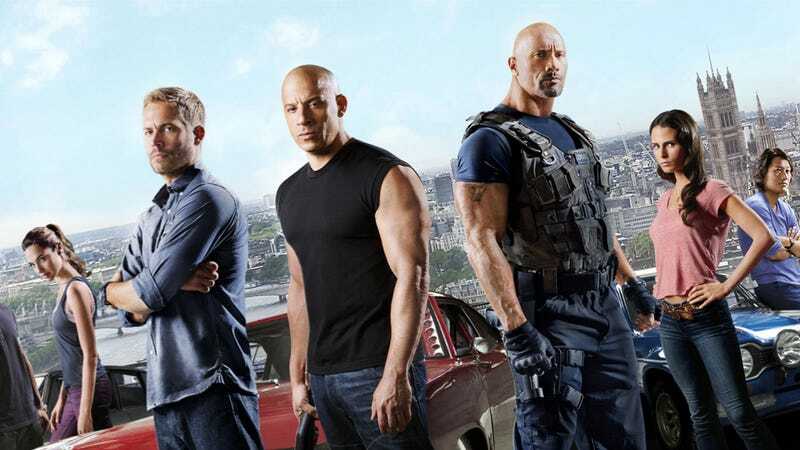 Fast 6 may have been a huge win at the box office and scored decently with critics, but little or no Walker in the next movie and a rushed revamp could spoil the franchise for fans.